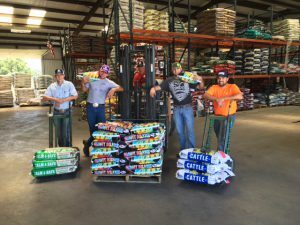 Are you interest ed in careers working for Russell Feed & Supply in the Forth Worth area? If you enjoy working with people, have a strong work ethic and a sound knowledge of animals, apply today at Russell Feed & Supply! Print off and complete the application form below and bring it to the store you are interested in working at, which you will find listed below. Please do NOT email them to us. Follow up on our Facebook page, we post job openings. Click here to access our Facebook page.